The Fontevecchia Association attends the presentation of the volume Giancristiano Desire "Pontelandolfo 1861". Friday, March 22, 2019 at 16, in Galasso room of the Neapolitan Society of National History of New Castle, Angevin, in Naples. 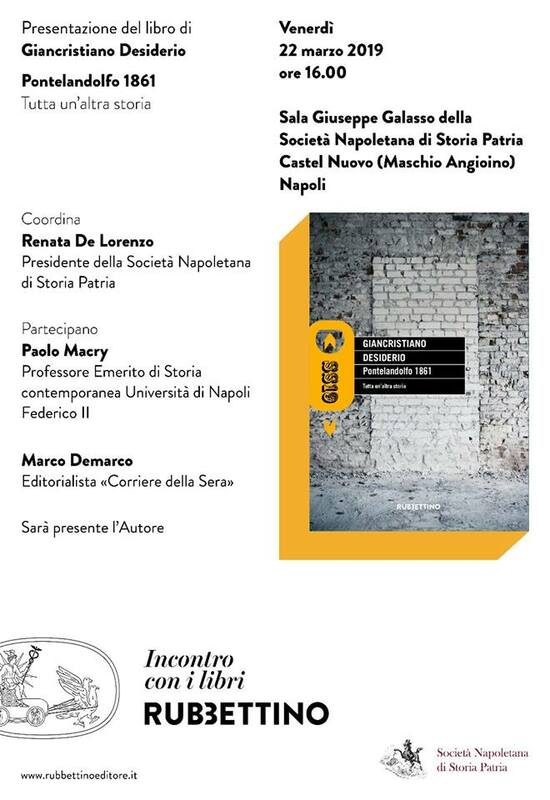 There will be Renata De Lorenzo, president of National History Society.Paul MacryEmeritus professor of contemporary history of the University Federico II of Naples, Marco Demarco Corriere della Sera and author.